I agree that it is much improved. Now if only the manufacturers of these rounded front shaped trailers could figure out how to do a front window that doesn’t leak. They are so dark inside!! 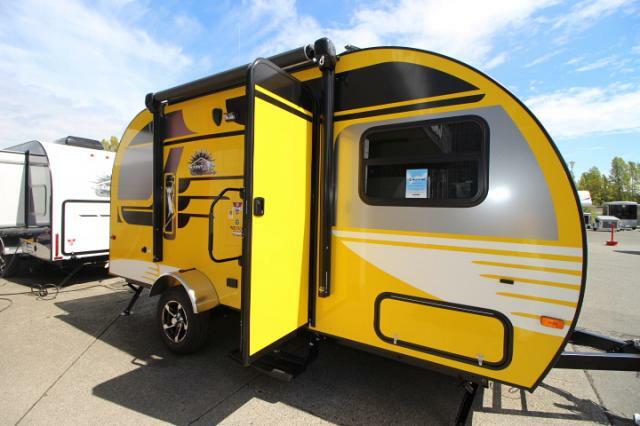 Isn’t this trailer just a knock off of the R-Pod trailer? As in almost identical. 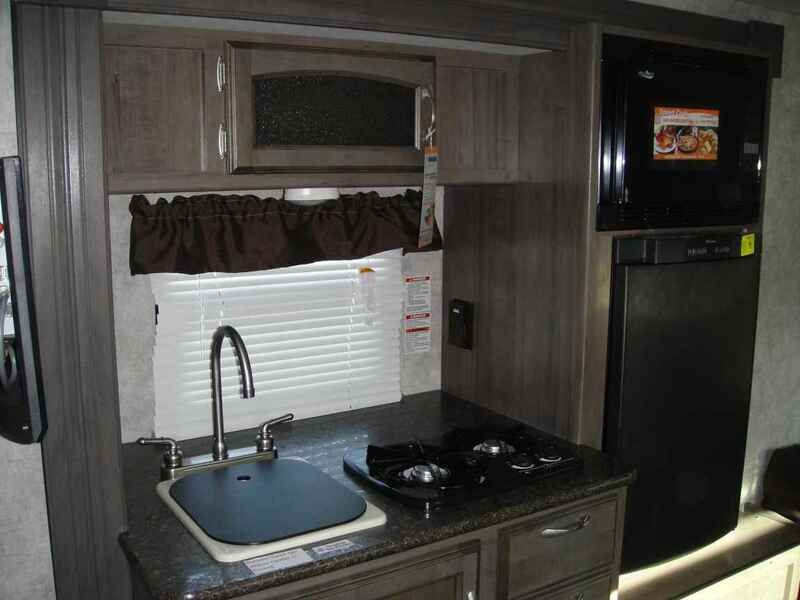 Winnebago can’t design their own trailer, they can only knock off the competition? And now it’ll be a race to the bottom, as they try to outsell each other, primarily by lowering the price, which means crappy components and poor construction. And the new graphics? Just as bad as the RPod. Whatever happened to innovation? Wait until you see Rockwood’s new Geo Pro. Similar layouts as you see in tear drops but without the tear drop shape. The shape LOOKS neat, but it’s actually incredibly non-functional. 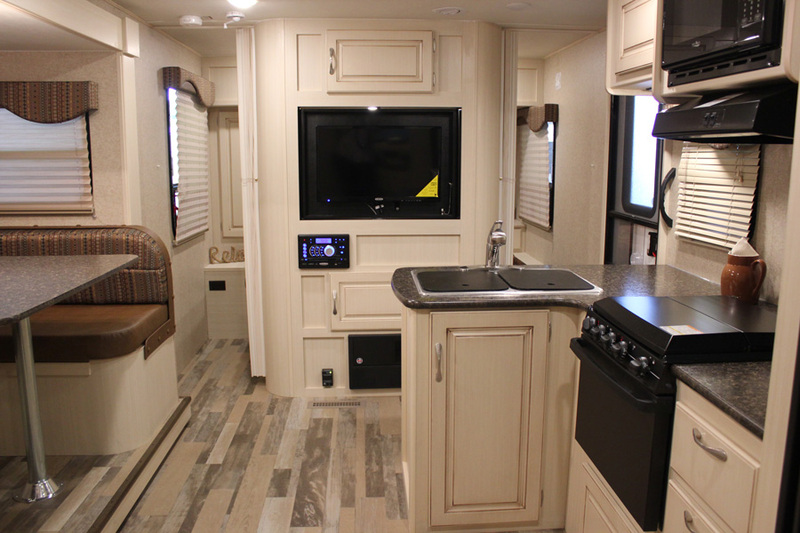 Rockwood, as the #1 producer of ultralites for years now, has once again redefined a market segment. The Geo Pro series is essentially be smaller Rockwoods purpose built with small camping in mind. They will include some amazing things like REAL solar (not just 12v trickle charge prep, but actual solar panels) installed standard. 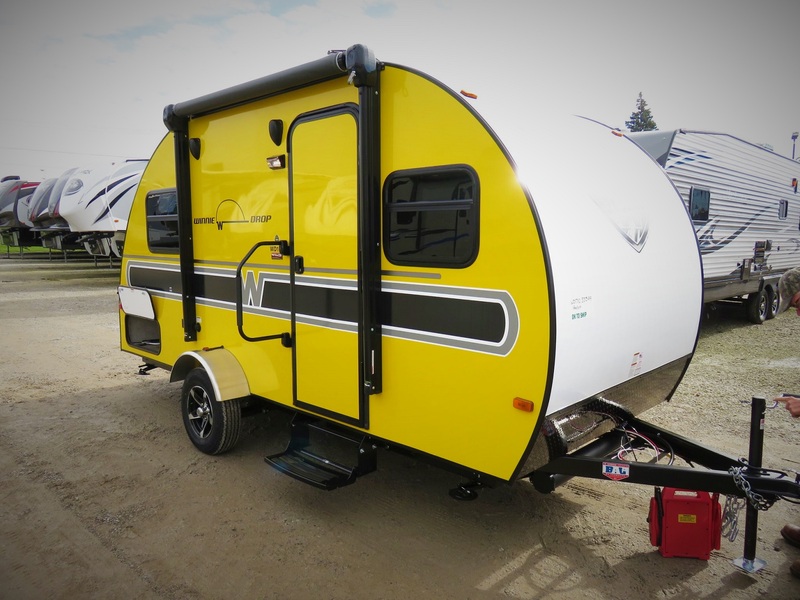 The more traditional RV shape (vs. teardrop shaping) will give them extra interior space, storage, and floor plan options tear drops simply cannot match. 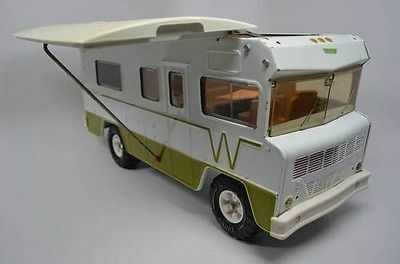 There’s still most definitely a place for tear drops, but you’ll see those Geo Pro models rolling out right next to the tear drops with multiple sets of happy campers. Just found a few pics of this. Can’t wait to see their floorplans up close. Hopefully I’ll see some down in Louisville in a few weeks. The smaller lighter weight tow-able is where we need to be. Scaled down near 1800-2000 lbs. to pull with 4 and 6 cylinder cars. Changing roof adjustable height allowing garage storage at home and aerodynamic travel yet elevated height for camping. See Alto Safari Condo (Canadian) or Meerkat concepts for adaptation.